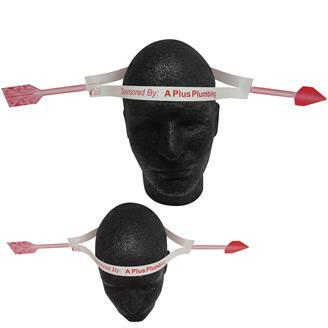 Arrow headband, made from 14 pt. high density white paper board. Liquid laminated for a high gloss finish. Quick turn, just ask. Your custom message will sure to be noticed!